In this Port Orleans Riverside Resort review, Sarah of Moment Mom, introduces us to the charm of an authentic Louisiana themed experience. Join us on the Disney Bayou to learn about the Port Orleans Riverside rooms fit for your prince or princess, the beautiful Port Orleans Riverside pools, the convenient amenities of a Disney moderate resort, and the authentic Bayou cuisine at Boatwright’s Dining Hall. 8 Is Port Orleans Pet Friendly? Port Orleans Riverside channels Louisiana in its theming and decor while occupying a convenient space between Epcot and Disney Springs. You can stroll through Magnolia Bend and admire the large mansion style buildings or swing over to Alligator Bayou for a more rural Louisiana experience. At night, you can see and hear horse-drawn carriages ferrying guests around the relaxing resort. As one of the Moderate Resorts, the price range for a standard room is usually between $199 and $302 depending on your time of travel. If you choose to upgrade to a Port Orleans Royal Guest Room fit for a Princess or Prince, you will pay an additional premium of $50-70 per night. Port Orleans Riverside is one of the smaller Moderate Resorts, hosting 7 sections and 4 bus stops. This is especially important for your commute time between parks. With a stay at Coronado Springs, Carribean Beach, and Port Orleans Riverside all in one year, I can easily say that Port Orleans Riverside has the shortest wait times for buses and time to get to the parks for the other Moderate Resorts and rivals some Deluxe. The resort is very easy to get around on foot, with the pool at the center and all food at the main house. Staying in the back corner in the Royal Guest Rooms, it was a very quick 10 minute walk to the main house for food or even quicker to enjoy the main pool on Ol’ Man Isle. With a stay at Coronado Springs, Carribean Beach, and Port Orleans Riverside all in one year, I can easily say that Port Orleans Riverside has the shortest wait times for buses and time to get to the parks for the other Moderate Resorts and rivals some Deluxe. Port Orleans Riverside has two room options with varying choices for views. We have stayed in both over the course of our Walt Disney World visits, and the Royal Guest Room takes the cake with the theming. However, both are very good Disney Moderate rooms. All rooms are 314 square feet. The bathrooms have a double sink and a standard size bathroom. We found them all to be very clean and well maintained. The Standard Room at Port Orleans Riverside comes with two queen beds or one king bed. You can also request a room in Alligator Bayou that comes with an additional child pull-out/Murphy bed with the 2 queen beds allowing you to sleep up to 5 in a room. The Royal Guest Rooms are only available with two queen beds and come with special theming. Tiana from Princess and the Frog is the leading princess at Port Orleans Riverside, and there is a large portrait of her along with a letter in the table welcoming you to her resort. You will also find pictures of other Disney Princesses and profiles of the Princes along the walls. We particularly enjoyed the wallpaper border with all of the Princesses’ best friends like Jaq and Gus Gus from Cinderella. The theming continues in the bathroom with the shower curtain displaying items from Ariel’s treasure trove. The most impressive feature of the room is the headboard. There is a little gold button on the inside. Make sure you have your lights off and you can enjoy a fireworks show in your room! The Royal Guest Rooms really hit home that you are at Walt Disney World. If you love to live in the “Disney Bubble” while on vacation, this is a great option and you can find more information specifically about the Royal Guest Rooms at The Royal Guest Rooms at Disney’s Port Orleans Riverside Resort. An assortment of Disney Princesses look over the room along with the amazing headboard with a fireworks show. 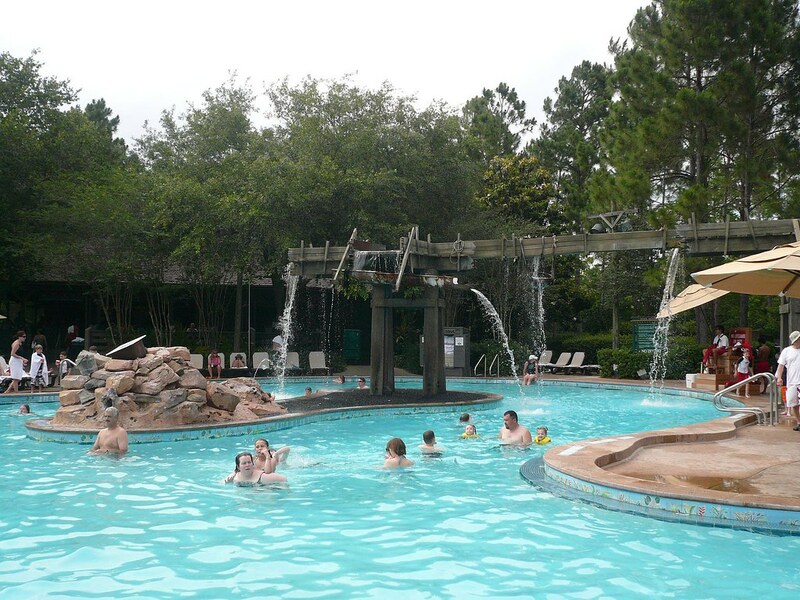 As a moderate resort, Port Orleans Riverside, offers the following services and amenities. Port Orleans Riverside has a well-stocked Sundries shop, Fulton’s General Store, including a mail room. We had a stroller rain cover delivered same day by Amazon to the mail area. There is a $5 Fee, but it was well worth it for a dry stroller! You can also have items purchased in the park delivered to the mail room at the resort for no additional cost. We took advantage of this for some fragile souvenirs we bought in Epcot and it worked great! One of the great reasons to upgrade to a Moderate from a Value resort is to take advantage of the water slide that comes with the Moderate pools! Ol’ Man Isle sits at the center of the resort and boasts a water slide and snack bar. There are an additional 5 pools, situated in between the different resort sections. While the main pool can get crowded, we found the pools near our resort to be almost empty and great for a non-park day. If you are on the Disney Dining Plan, each of these options will cost you one Quick service credit. Is Port Orleans Pet Friendly? Shortest transportation times of the Moderate resorts – even rivaling some Deluxe. Having stayed in several Moderate Resorts during the same year, I can easily say that Port Orleans Riverside was my favorite and a great value! I haven’t had a chance to stay here yet, but it is at the top of my list! 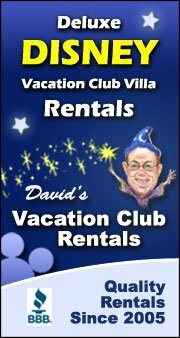 It is helpful when people share information about various aspects of a resort and the surrounding area. This is a well rounded review, and I appreciate the author taking the time to share so much about different aspects of Port Orleans Riverside as what it has to offer its guests.